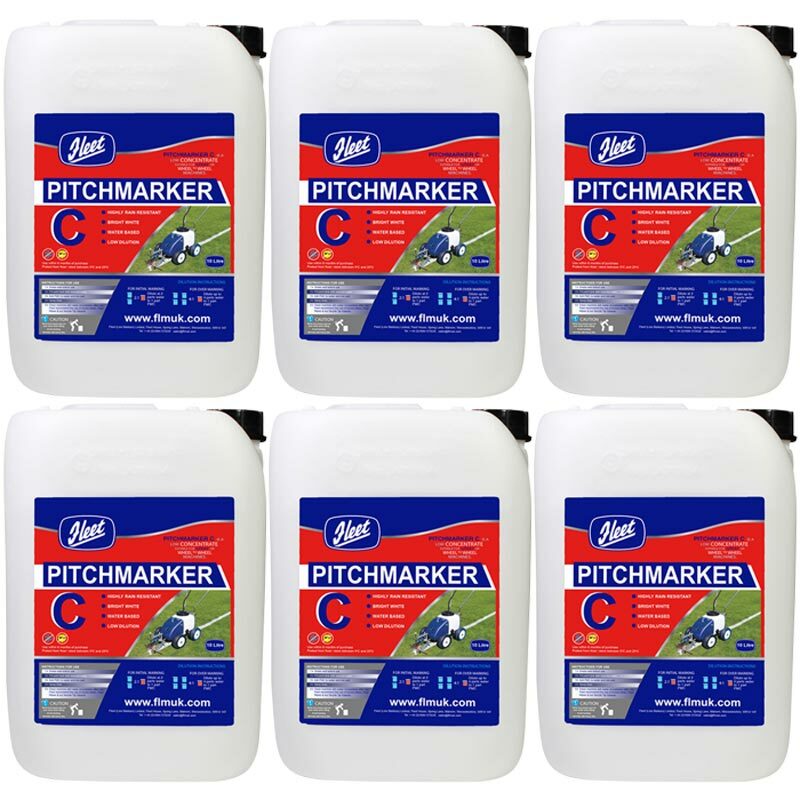 Fleet Pitchmarker C Plus Line Marking Paint 6 Pack is a low concentrate suitable for spray or Wheel to Wheel machines. The dilution range is from 2:1 up to 4:1. Supplied in 15 litre drums. Dilution rate 2:1 to 4:1.